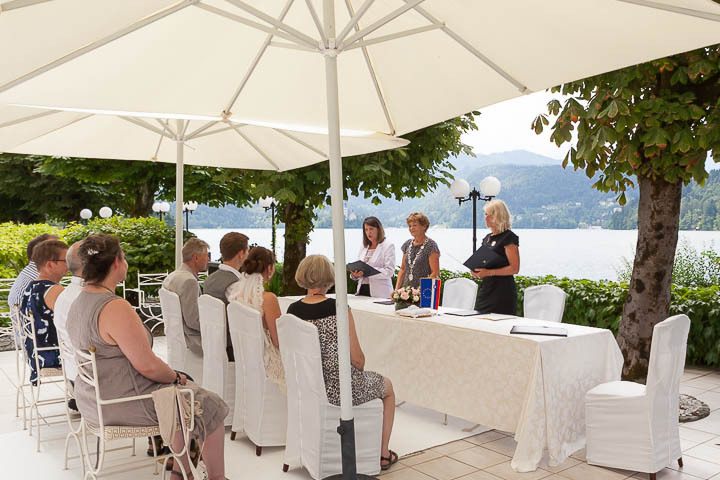 Below, you can find the most popular civil wedding locations at Lake Bled. Fairy tale castle built on the top of the high rock is a popular place for civil weddings. Its amazing location and medieval flair attract couples from all over the world. Civil wedding ceremony on the hotel terrace in the pleasant shade of the mighty chestnut trees would be unforgettable. Former presidential residence surrounded by wonderful gardens presents an awesome location for an outdoors civil wedding ceremony.